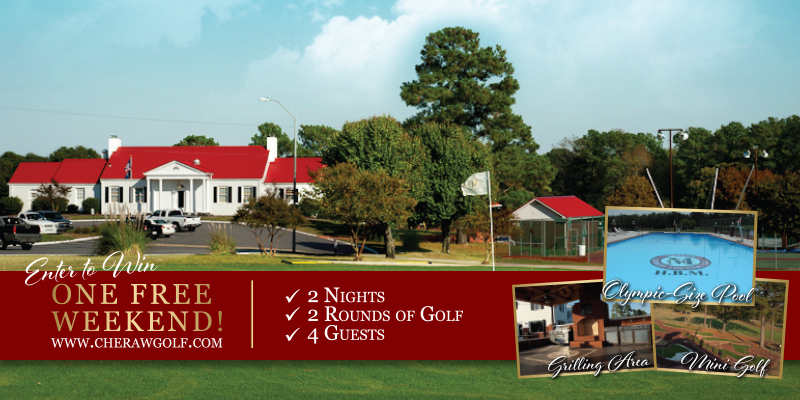 Enter to Win a Free Weekend at Moree's Cheraw Country Club! To a lucky group of four people, we're giving away 2 Rounds of Golf on our Donald Ross Signature Golf Course and 2 nights stay in our Poolside lodging along with all amenites! Play and Stay with us to also enjoy an Olympic-Size Pool, Grilling Area, Mini Golf, Practice Facilities, Leisure Rooms, Dining Area and more! Be sure pass this along to your friends! If each person in your group enters, the better the odds are of winning it for your group! Here is a link to the registration form. Thanks and good luck!